HONEYMOON Products - Website of smartourism! NOTE: Rates for the Honeymoon Products below can be found on the RATES page. Email marijke@smartourism.co.nz if you need the password to access this page. 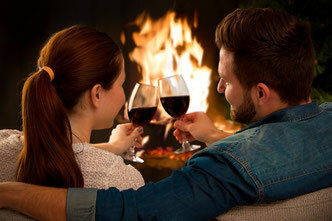 This romantic 5 Star Gold Qualmark retreat is perfect for honeymooners. It's private, off the grid, has a large open fire, twin outside baths and a relaxing environment surrounded by native bush. For honeymooners that come to Queenstown for a ski holiday, Browns Ski Shop offers the best gear and the best service in town. Ideal for a romatic getaway weekend. 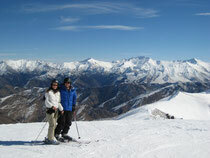 Fly to Okaka Lodge and see the breathtaking views from the Hump Ridge summit. On Day 2 fly down the Hump Ridge and over historic viaducts, returning to Rarakau. This is a very flexible package with lots of upgrades available. 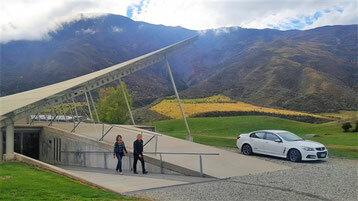 Discover Central Otago’s premium wines only a short journey from central Queenstown on one of our daily wine tours. Meet members of the vineyard team for a close up perspective of the local wines. Pick up and drop off at accommodation or Central Queenstown. Ulva's Guided Walks is a highly acclaimed guided walk operator on Stewart Island. For nature lovers and bird enthusiasts, one of the guided walks (whether in a group or as a private tour) is a must when visiting Stewart Island. Click here for more information on Ulva's Guided Walks. For honeymooners that are either beginner or experienced mountain bikers, Vertigo Bikes offeres a range of options. Click here for info on Vertigo Bikes' trips! NOTE: Rates for the Honeymoon Products above can be found on the rates page. Email marijke@smartourism.co.nz if you need the password to access this page.